For those battling Breast Cancer, confidence in your appearance can be an invaluable weapon in your arsenal. It’s not about vanity. It’s about not drawing attention to your illness. 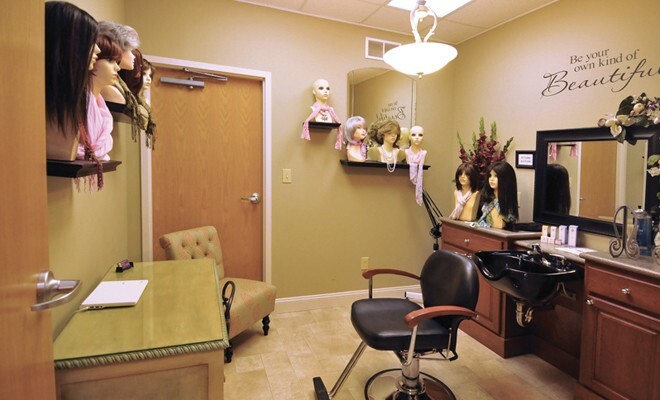 Delaware Hair Solutions can help you understand the hair loss process and explain all of the options available for your specific needs before, during and after treatment. Hair loss generally starts 10 days to 2 weeks after the first chemo treatment. The amount of hair loss experienced varies between the individual and the strength of the medication. 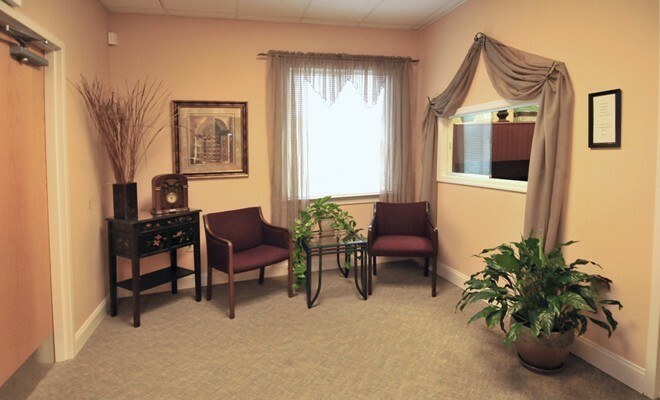 Before treatment is the best time for DHS to help you decide the approach that will work for you. In addition, many patients experience severe dryness and sometimes painful skin irritations as a side effect of radiation and chemotherapy. DHS carries Lindi Skin Care Products which are designed specifically to provide relief with these issues. When possible, we recommend starting even before treatment begins. A free consultation before hair loss begins, allows us to match your hair color and style as closely as possible. In some cases, hair loss can be unnoticeable. If you or someone you know and care about is undergoing cancer treatment you understand how drastically life can be altered during this time. Dealing with the disease’s symptoms and treatments is difficult enough, but in the case of women and children especially, coping with the extreme changes in outward appearance may seem devastating as well. The psychological and emotional effects of chemotherapy related hair loss can be terrifying resulting in stress, anxiety, and many levels of depression. It can also result in loss of self-esteem and confidence. I decided to give their products a try. This was one of the best decisions I ever made. I’ve been a client for 11 years and love the product they are providing. I have the ability to choose any hair color I want, have any cut/style I want, even get a perm and use a curling iron and blow dryer. I shampoo and style just like normal hair. I have even gotten compliments from total strangers on the color and style. 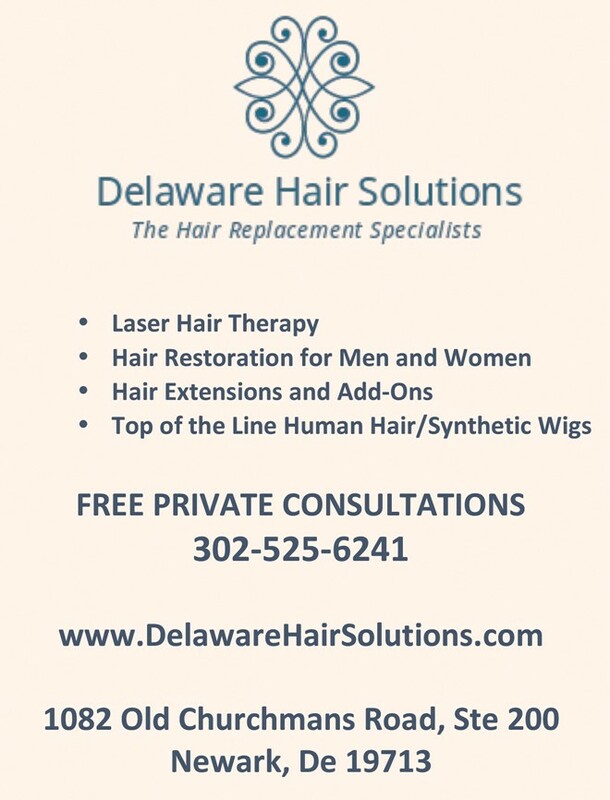 I am now back to fully enjoying my life, thanks to DELAWARE HAIR SOLUTIONS.” ~ Christine H.
Cancer treatment is not the only condition that can result in hair loss. One out of every 100 people suffer with Alopecia Areata, or unnatural hair loss. This is a common autoimmune disease that, while not life threatening, can also have psychological and emotional effects similar to those experienced by cancer patients.